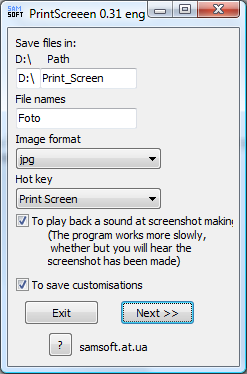 Makes a screen shot and saves in a file. Stores screenshots in X:\path\name _ #. the format (bmp or jpg) is selected by you. opens it(him) in editor Paint. Makes a screen shot and opens it in editor Paint. 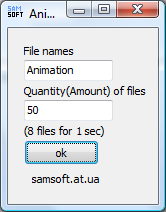 Opens a folder in which at the moment files are saved.